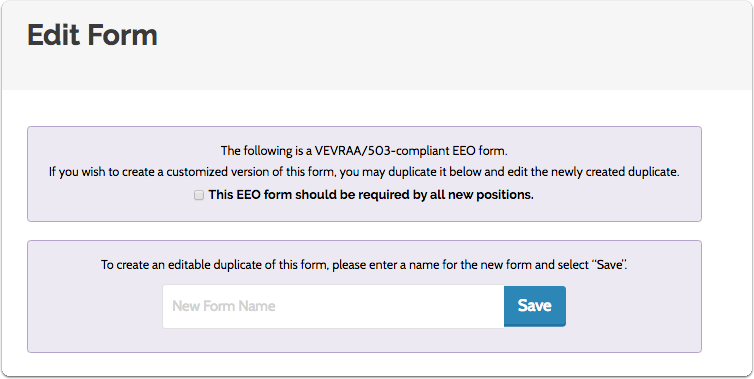 Note: The changes to our Standard EEO form described below will not affect users who have an existing standard form or edited standard form already in place. All forms will include 'Prefer not to disclose' as an option for the position applicant to choose from. If you want to make a customized version, simply create a duplicate by renaming the default form and clicking "Save." 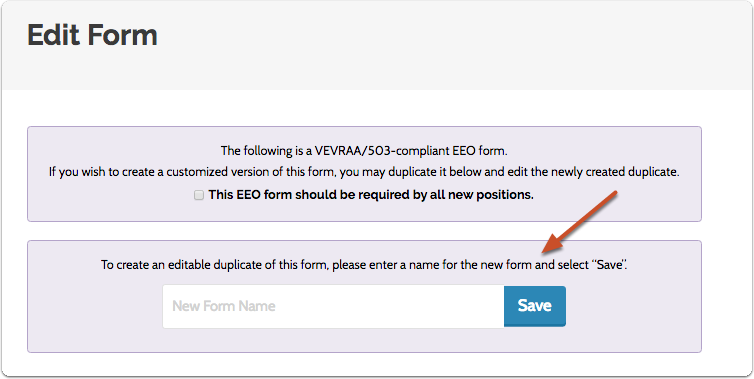 You may then edit the duplicate form.